The Federal Communications Commission has proposed several rules changes related to the amateur satellite service as part of a Notice of Proposed Rulemaking (NPRM) related to the mitigation of orbital debris. AMSAT believes several of these rule changes would have an extremely detrimental effect on the amateur satellite service and AMSAT’s ability to launch and operate new satellites, including AMSAT’s upcoming GOLF satellites. Today, AMSAT filed comments on the proposed rulemaking. In the comments, AMSAT argues that amateur satellites often have longer mission lifespans than other small satellite missions and that the Commission should take a mission duration of 5 to 10 years into account when determining whether or not an amateur satellite will meet the orbital debris regulations by transferring to a parking orbit or re-entering the atmosphere within 25 years of mission completion. The current practice is to assume a “zero year” mission and to require that amateur satellites either transfer to a parking orbit or re-enter within 25 years following launch. AMSAT also urged the Commission to consider alternatives to a proposed rule that would restrict satellites in Low Earth Orbit that plan to meet the orbital debris mitigation guidelines through atmospheric re-entry to altitudes of 650 km or less. AMSAT noted that, had this rule been in place, AO-85 and AO-91 would not have been able to be deployed in their current ellipitcal orbits with apogees of approximately 800 km, despite the fact that both of these satellites will re-enter within 25 years due to their low perigees. Additionally, AMSAT noted that current plans for the GOLF-1 satellite are to meet orbital debris mitigation guidelines through atmospheric re-entry by deploying a drag device that will ensure re-entry within 25 years despite deployment at an altitude of above 1,000 km. This proposed rule would prohibit GOLF-1’s deployment at that altitude. The Commission’s proposed rules would also require that amateur satellite licensees indemnify the government against any claims made against the United States due to the operation of the satellite. AMSAT believes this proposal would end the ability of AMSAT, or any other entity in the United States, to launch and operate amateur satellites and urges the Commission to consider alternatives, such as establishing a fund to pay any such claims, noting that the likelihood of such a claim is low. For amateur satellites with propulsion, the Commission proposes a rule that would require any command links as well as satellite telemetry be encrypted. While AMSAT understands and agrees that a satellite carrying a propulsion system must have an encrypted command link, the proposal to require all satellite telemetry be encrypted is unnecessary and counter to the spirit of the amateur service. 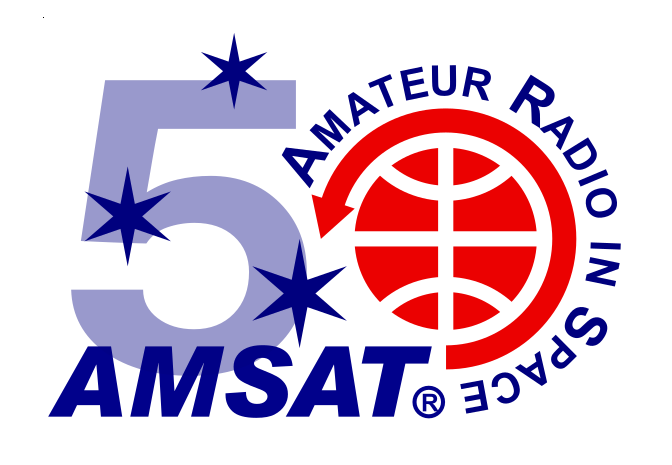 AMSAT notes that open access to telemetry is expected of amateur satellites and is critical to the educational component of amateur radio satellites. Finally, AMSAT proposes that the Commission exempt amateur space stations co-located on other spacecraft from the orbital debris mitigation regulations, including any indemnification rule. Noting that AMSAT has pursued opportunities to fly a payload as a rideshare aboard government or commercial satellites, AMSAT argues that, as the satellite’s owner will need to meet orbital debris mitigation requirements to obtain the license in the primary mission’s service, requiring the amateur licensee to meet the orbital debris mitigation requirements as well is redundant. AMSAT proposes that Part 97 be amended to state that amateur space stations co-located on spacecraft with space stations authorized under Part 25 of the Commission’s regulations (for commercial spacecraft) or by the National Telecommunications and Information Administration (NTIA) (for government spacecraft) are exempt from these regulations. AMSAT’s comments as filed may be read in their entirety below. The comments may be downloaded at https://www.amsat.org/wordpress/wp-content/uploads/2019/04/Comments-of-Radio-Amateur-Satellite-Corporation-IB-Docket-No-18-313.pdf. The NPRM is International Bureau Docket #18-313 and is available at https://docs.fcc.gov/public/attachments/FCC-18-159A1.pdf.